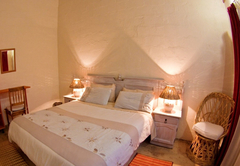 Valid 14 March to 31 May 2019: 15% discount on standard rates, on stays of 3 nights or longer. 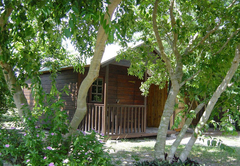 Toad Tree Cabins is a highly recommended property providing self catering in Sodwana Bay for tourists visiting the Elephant Coast region. 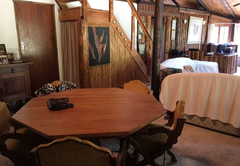 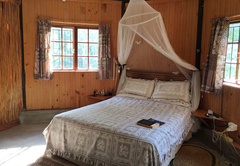 Toad Tree Cabins at Sodwana Bay in KwaZulu Natal is a fully equipped, birder friendly, rustic camp which serves as a weekend and holiday destination for scuba divers and nature loving travelers. 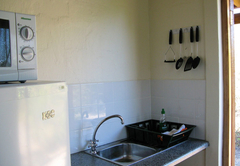 Self-catering brick cottages sleeping 2, 4, 6 or 8 people with fully equipped kitchen, bathroom / shower, lounge and dining area. 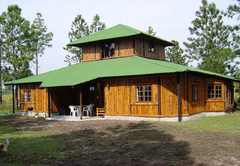 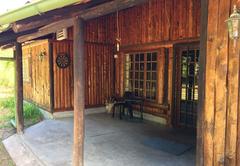 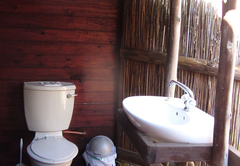 In addition there are 4 wooden cabins with 2 single beds and en-suite open-air shower, basin and loo, and another 2 en-suite cabins with double beds. 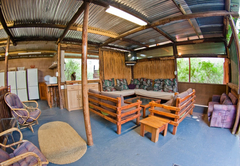 The 6 cabins share the communal entertainment lounge. 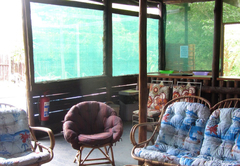 Please note: Children are welcome. 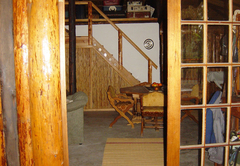 Regret, pets are not allowed. 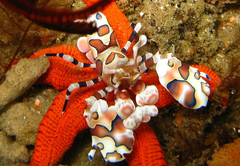 • Deep sea fishing charters. 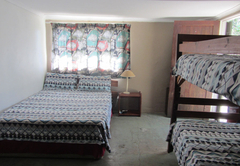 The 4 sleeper dorm room has single beds and a bunk bed. 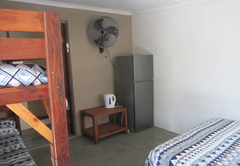 The unit has its own personal shower and loo but shares a fully equipped communal kitchen, lounge, dining area, pool and braai. 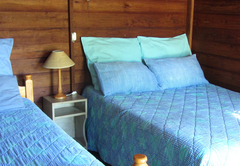 2 sleeper en-suite wooden cabin with a double bed or single beds if preferred. 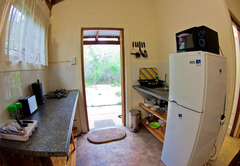 The cabins have their own personal shower and loo but share a fully equipped communal kitchen with private fridge, lounge, dining area pool and braai. 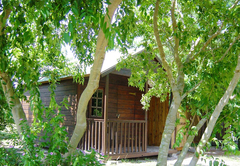 3 sleeper en-suite wooden cabin with a double bed and a single bed. 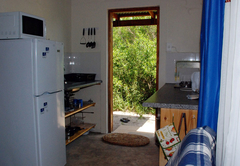 The cabins have their own personal shower and loo (open-air) but share a fully equipped communal kitchen with private fridge, lounge, dining area pool and braai. 2 sleeper self-catering cottage with a fully equipped kitchen, stove, microwave oven, fridge, etc., private barbecue area, 1 private bedroom with a queen bed, shower room and sitting area. 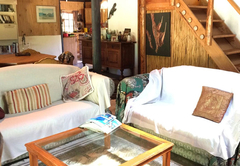 Self-catering family cottage with a fully equipped kitchen, stove, microwave oven, fridge, etc., private barbecue area, 1 private bedroom with a queen bed, shower room and bunk beds in the sitting area. 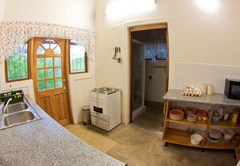 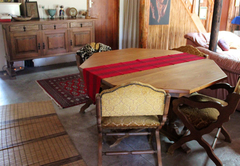 4 sleeper self-catering cottage with a fully equipped kitchen, stove, microwave oven, fridge, etc., large lounge, private barbecue area and 2 private bedrooms. 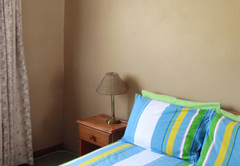 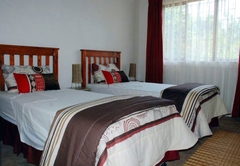 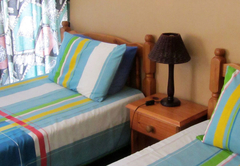 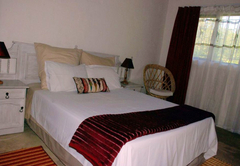 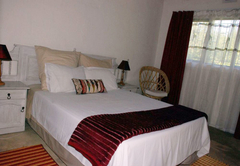 The 1st bedroom is en-suite with a tub and a double bed, and the 2nd bedroom has twin beds. 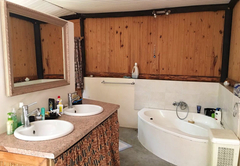 There is a 2nd bathroom with a shower. 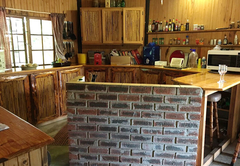 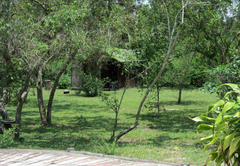 6 sleeper self-catering cottage with a fully equipped kitchen, stove, microwave oven, fridge, etc., lounge and barbecue area, 2 private bedrooms, one en-suite with a tub and a double bed, and the second with a double or twin beds and bunk beds or 2 sleeper couches in the lounge. 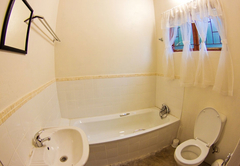 There is a second bathroom with a shower. 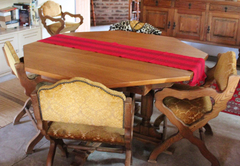 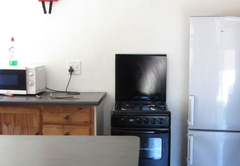 The 8 sleeper self-catering cottage has a fully equipped kitchen, stove, microwave oven, fridge, etc., lounge and barbecue area, 3 private bedrooms, one en-suite with a tub and a double bed, and the second with twin beds and a single bed, and bunk beds in the lounge. 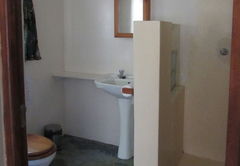 There is a second bathroom with a shower. 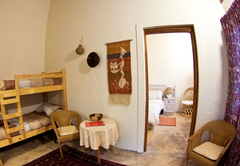 The 3rd bedroom has its own entrance and bathroom. 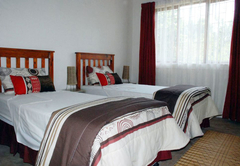 It has either a double or 2 single beds. 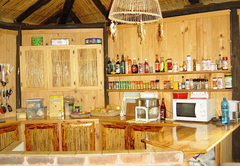 The 10 sleeper self-catering cottage has a fully equipped kitchen, stove, microwave oven, fridge, etc., lounge and barbecue area, 3 private bedrooms, one en-suite with a tub and a double bed, and the second with twin beds and a single bed, and bunk beds in the lounge. There is a second bathroom with a shower. 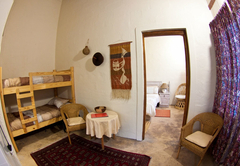 The 3rd bedroom has its own entrance and bathroom. 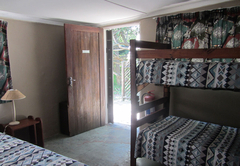 It has either a double or 2 single beds and bunk beds. 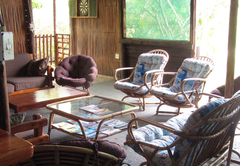 Only complaint there were no road signs to find the place and we were not expecting to ride 1,5km on a beach sand road - my 900 car took a lot of strain and got stuck a few times. 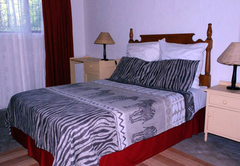 Place when we got there was clean and well kept we enjoyed our stay. 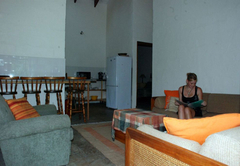 Great accomadation, great dives an all round fantastic experience in every dealling with Lindsay of; Toad Tree Cabins and Sea Escapes. 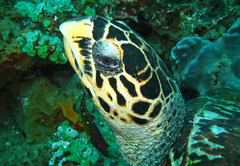 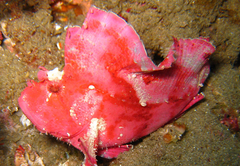 Exceptions to check-in/out times for scuba diving may be arranged, please enquire.